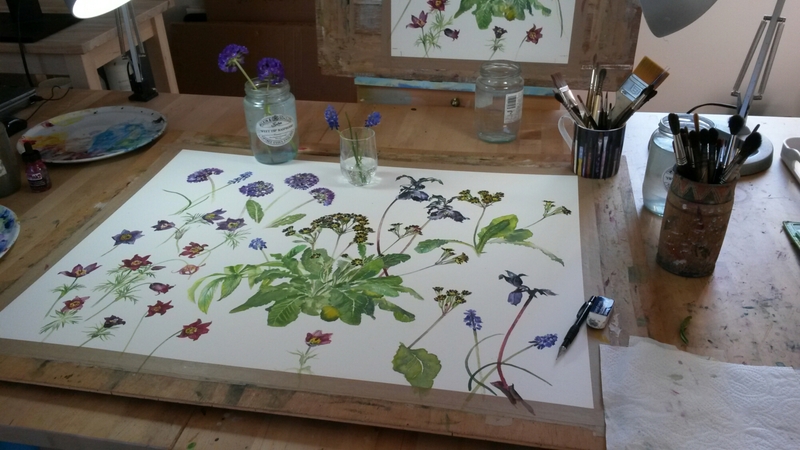 Established Scottish artist in watercolour specialising in botanical and other natural subjects. FabrianoinAcquarello 20-23 April 2017, Italy, with Scottish artists Sheena Phillips, Kirsty Lorenz and Aine Divine. Review by Duncan Macmillan in the Scotsman Magazine this weekend. See The Scotsman Magazine 10 September 2016 for a review of my solo exhibition at the UNIONgallery, Edinburgh. Watercolour demonstration at Edinburgh’s UNIONgallery. Looking forward to appearing on BBC Radio 4′ ‘Woman’s Hour’ on Wednesday 24 August between 10 and 10:45am GMT. I’ll be talking about watercolour and my current solo exhibition in Edinburgh. Download the catalogue of my current solo exhibition. Click here for the catalogue of my c urrent solo exhibition in Edinburgh’s UNIONgallery. Feature about my solo at UNIONgallery, Edinburgh which opened last night. 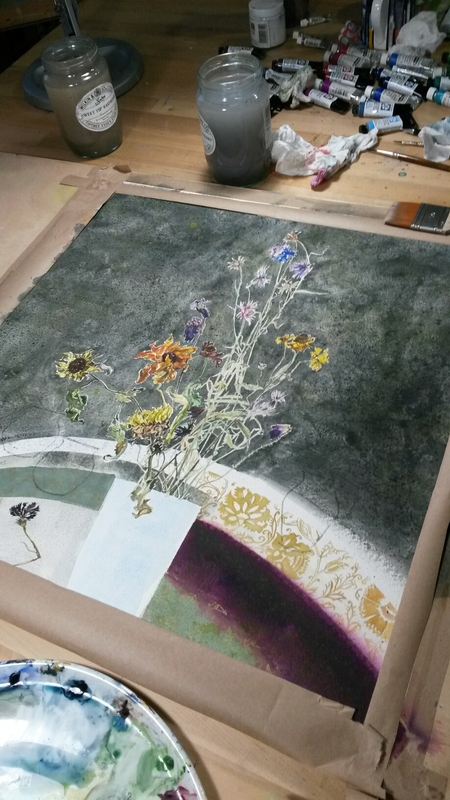 Fresh flowers to paint at last! I’ve been nominated for the International Prize ‘Marche d’Acqua’ to take place on 18 June in Fabriano, Italy: 12 international judges each nominating 4 artists. 48 artists show 1 painting each from 18 – 31 August 2016. Still Life using some new watercolours. I’ve been working on this project for a few months with a UK wine importer. I’m looking forward to seeing my painting featuring on the labels of this New Zealand white in February 2016! Visiting Thompson’s London Scottish show today, greeted by my paintings in the window.